You may have spotted that every month, I take part in Past Offences’ Crimes Of The Century meme. I don’t often take part in Challenges, as I’ve found in the past that it ends up dictating what I read a little too much. But this one has so much freedom that I’ll even forgive Rich for getting me to read The Pit-Prop Syndicate. Basically a year is nominated and bloggers are encouraged to review a book or film or whatever from that year. You see, there are loads of books by the classic authors that were published in 1941. And I’ve read virtually all of them. So I thought, while I hunted something else out, to give a quick summary of the books that I can’t read – because I’ve already reviewed them. So, some potted reviews of those books – for the full review, just click on the link. One of the better known of the Poirot novels, due in part to the Peter Ustinov-Diana Rigg version. Unfortunately, I read this quite soon after another (and much better) Poirot that shared, in my view, very similar ideas in the plot. It’s good and colourful but I think the murderer sticks out a mile. I can only say I think, though, as I saw the Ustinov version a long time before I read the book. Forget about the recent BBC adaptation, this Tommy and Tuppence caper – the first that I read – completely won me over from Tuppence’s early surprise appearance and it’s a fun mystery/thriller. 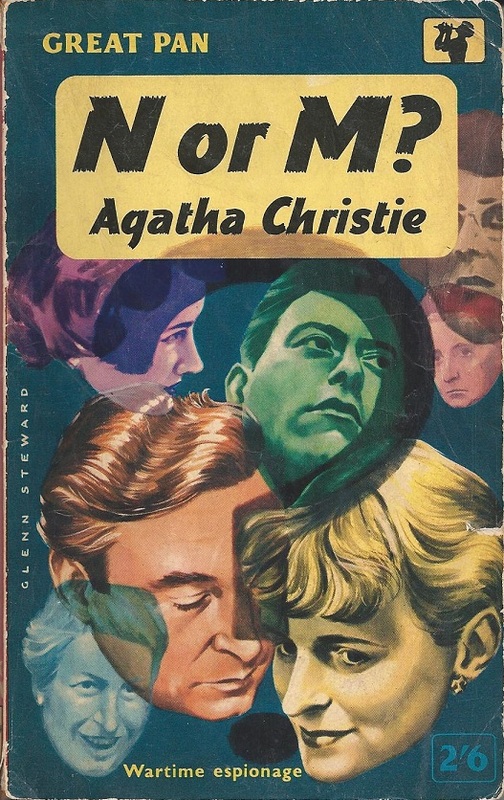 Lots of fun – one of Agatha’s often overlooked books, imho. The book that won me over to Carr – and I read this after The Hollow Man. Loads of fun, especially for a Fell novel, with a clever murder method (which probably actually wouldn’t work but I guarantee that you won’t care) and a great atmosphere. One of his best (and often overlooked) mysteries. Never rated as one of his best, and some will be disappointed by the lack of an impossibility. But it’s also a long way from his worst – in fact, it’s a very clever, well-clued puzzle. The last few pages are a bit odd, but the rest is well worth a look. My introduction to Allingham and much rated by some – but not by me. Really not the best book to introduce the reader to Mr Campion. 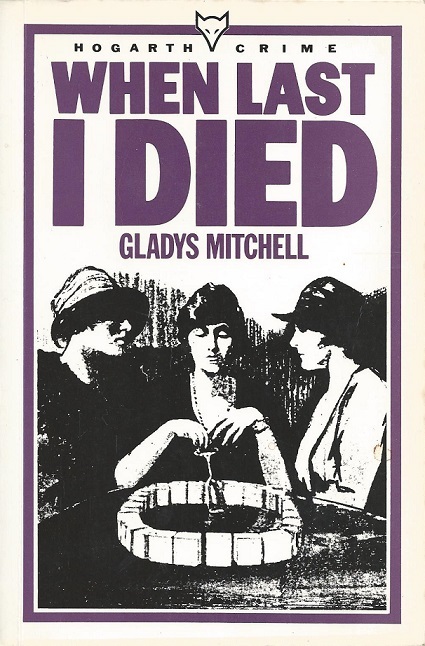 More Gladys on the way but this is definitely the best of the three books that I’ve reviewed on the blog so far. 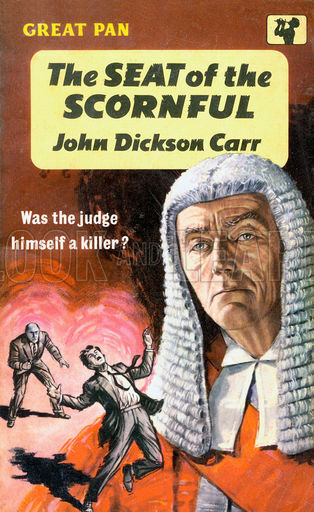 One of the better “miscarriage of justice in the past” that I’ve read. Well worth a look. And probably the best of the three books of Blake’s that I’ve read as well. In fact, this is one of my favourite books on this list apart from The Case Of The Constant Suicides. As I said, for more info, do click on the links for the full reviews. And a new 1941 review is coming next time. Good selection of books and I feel chuffed that I have read 7 of them. Glad you liked the Nicholas Blake book, as he does rather get a bad press. 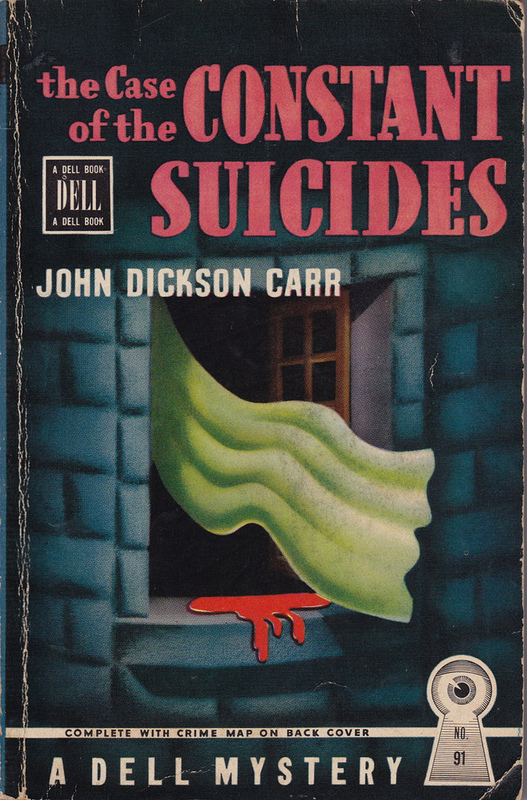 The Case of the Constant Suicides is a really good though and I used it as my book for the 1941 challenge. I liked where the role the snowman takes in the book as well. Meant to say also that I’m glad you liked N or M?, as I enjoyed reading that one and less said about the horrific BBC version the better. I struggled through The Secret Adversary but N or M was unrecognizable – the lovely bit where Tuppence shows up out the blue was gone and I stopped at that point. A little known book from 1941 is Stuart Towne’s “Death Out of Thin Air”, “Stuart Towne” being a pseudonym of Clayton Rawson. I’d be surprised if you’ve read that. I read it many years ago and liked it at the time, but I’m not sure what I’d think of it today. I’m surprised it’s available at all, as back at the time I read it I had a hell of a time getting hold of a copy. There’s one other Towne book I was never able to find. 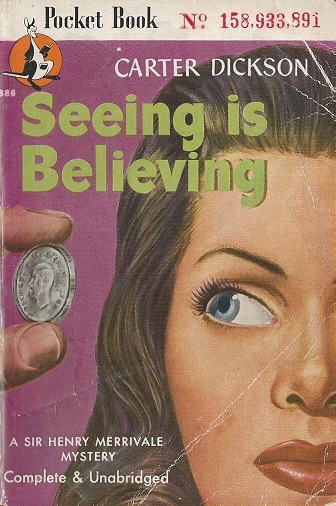 At least there’s a certain poetic justice in Rawson’s books vanishing! I have the book. It contains 2 novelettes Ghost Of The Undead and Death Out Of Thin Air. Initially, I thought of reviewing the book for Past Offences but gave up the idea since the book is extremely difficult to obtain. In my opinion, reviewing such a book serves no purpose whatsoever. As you said on John’s blog, but I disagree. If I had a copy, then I’d be letting people know if it was worth tracking a copy down or not. 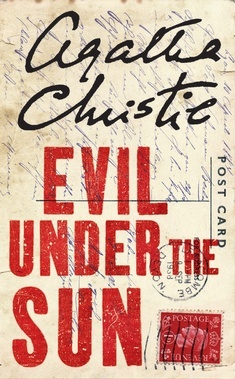 Evil Under the Sun is not one of Christie’s best – it drags in the middle and the central relationships are unconvincing – but then, the plot is recycled from an earlier short story (Triangle at Rhodes) with a different character as the murderer – a trick Christie was very fond of using.